Step 1: go to Minecraft’s datasheet at Malavida and press the green Download button. 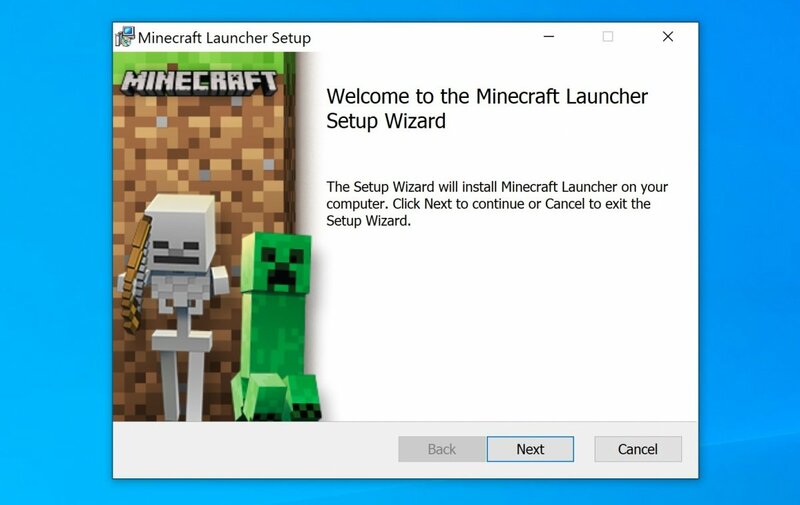 You can also go straight to the game’s website https://minecraft.net and download the file from there by means of the option you’ll find on the upper left-hand side where it says Download. Step 2: you’ll have to create user account at Mojang, with a username, email address, and password. Step 3: now download the installer. You can get hold of the demo file or purchase the game to access the full version. Step 4: once you’ve downloaded the file, just double click to start the installation process. The first thing you’ll have to do is choose the destination folder, being able to create a shortcut on your desktop. Step 5: after that, click on Install and wait for the process to be completed. The time can depend on your connection speed as the files will be downloaded from an online server. Step 6: once the installation has been completed, a window will pop up informing you about the success of the process. You can check the box to launch the game once you close the window, or uncheck the box to close the window and access the game from any of the shortcuts that you may have created. Step 7: when you run the game, you’ll notice how new data is downloaded. That’s information from servers as well as the automatic configuration carried out with the latest system updates. Step 8: after that, the window to start the game will pop up, where you’ll have to input the user data you created at the beginning of the process.